It seems silly that any city should have to vote on passenger rail when they don't have to vote for another city service such as improvements to water and streets. I'm not against voting for sales taxes or bond measures as we do these with city services all the time. What does bother me is having to ask permission for every little detail when the money is already assembled. When you start deferring every little decision to voters, you get California. And look at how well we're doing! The only other city that has been made to vote on passenger rail even if it didn't include a bond measure or sales tax increase is Austin. Other cities including Denver and Houston decided to build the first line and found that it was a pretty good idea, so voters raised taxes on themselves to expand them. So Issue 9 begins in Cincinnati and here is the first ad in the fight against a ballot measure that would make the public vote on any amendment having to do with passenger rail, including commuter, streetcar, or even high speed rail. Actually, Houston held a vote on whether to tear out the Main Street line while it was under construction. (The proposal lost.) It's amazing how many transit votes there are and how few highway votes. The Austin law is a state law only applies to cities under 750k in population. With a 2009 project population of 757k, Austin will almost certainly no longer be subject to the law after the 2010 census. I guess you can force a vote on anything if you get enough signatures on a petition. That's democracy. Even though Issue 9 is ridiculous, I'm not willing to sacrifice democracy for it. Aside from that, I wasn't that impressed with the ad. Will it convince the skeptics? The video is a submission into the contest being held for commercial submissions. They have not yet selected a winner, but this is one of the early entries coming in. There are obviously some things that need to be worked on in this video, but the more the better to be honest. As for the democracy bit, we have a representative democracy where we elect our representatives and then vote them out if they don't meet our standards, or keep them in if they do. 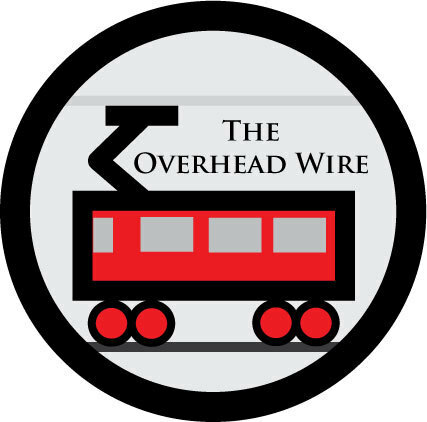 This direct democracy style of government is a slippery slope, and The Overhead Wire is exactly right in comparing it to the mess presently seen in California. This proposal to put "Issue 9" on the ballot in Cincinnati is a bad idea. I don't see why they should let it go up for a vote. They don't really have a choice though. Cinci law has a referendum process, just like California. There are certainly bad aspects to this, but it's not hard to imagine a situation where it would be extremely useful too. I think it's a double-edged sword.